Home, James!® Real Estate, Inc. is a franchisor – it owns and licenses the Home, James!® brand, trademarks, and The Home, James!® System. Our motto: “The Fine Art of Real Estate.™” Our tagline: “Global Perspective, Local Expertise.™” The Home, James!® System is a proprietary solution that efficiently compresses a real estate transaction’s timeline by integrating a strategic alliance of real estate-related services in local markets around the world. The Home, James! Global Real Estate Network Directory is a referral marketing program that offers franchisees and affiliates an opportunity to expand and grow their business. Home, James!® Global Real Estate Brokers in United States is our national real estate brokerage brand. Home, James!® Global Real Estate Brokers in Arkansas is the statewide real estate brokerage master franchise for Arizona. Home, James!® Global Real Estate Brokers in Benton County, AR is the brokerage sub-franchise for that county. Home, James!®-branded brokers retain up to 100% of their earned commissions. Should you want to learn more about our franchise opportunities or, if you already own a real estate-related enterprise in Benton County that you would consider rebranding or affiliating with our Home, James!® Global Real Estate Network, email your interest to: US.AR.Benton.Opportunities@HomeJamesUS.com. 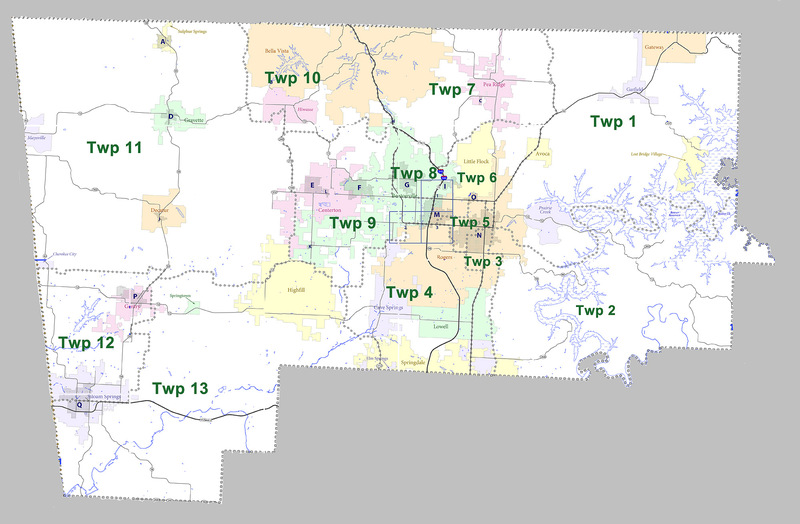 Note: Unlike most counties, Benton County has numbered townships instead of named townships.